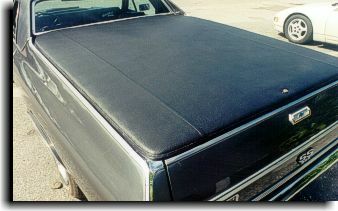 This 1972 El Camino has a factory hard lid for the bed that needed to be recovered in an original black Levant grain vinyl top material. 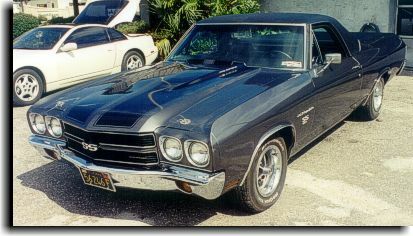 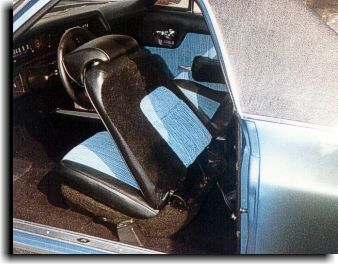 This 1970 El Camino had a complete custom interior installed. 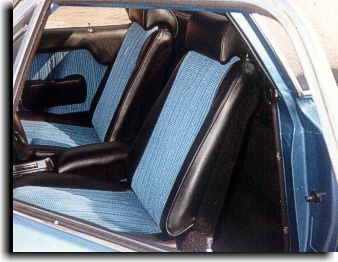 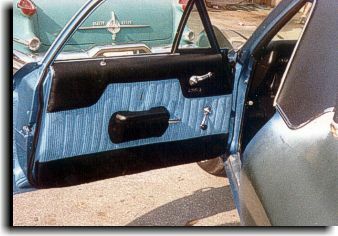 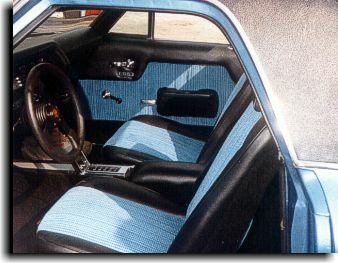 A blue Corvette original material was used for the inserts with black vinyl trim and black cut pile carpeting.